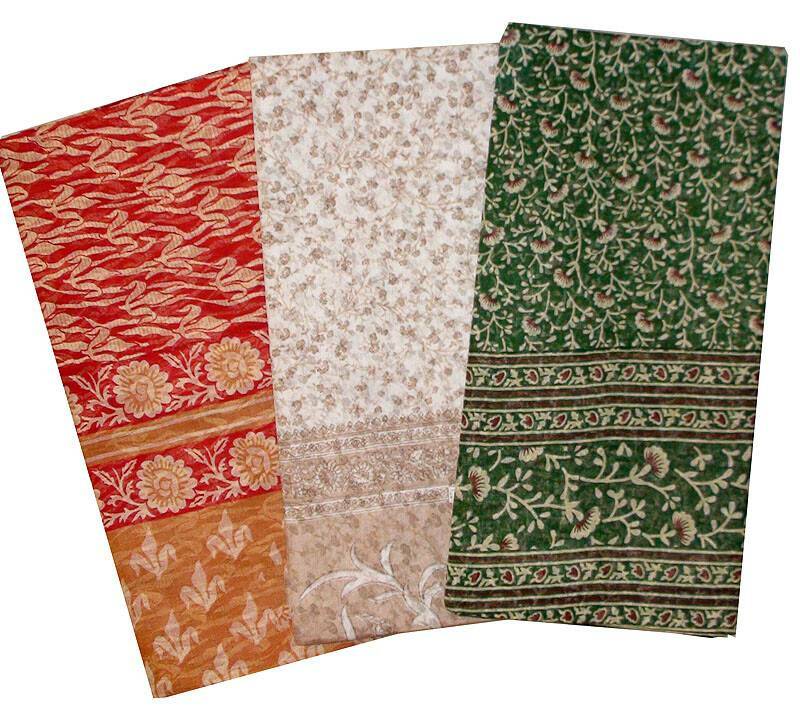 These simple cotton printed saris are perfect for wearing around the house and for normal daily wear. The color prints are very attractive and they are very reasonably priced. Note: pracitcally all of the thousands of saris we have in stock are unique. The designs are always changing so we can not show on the website the exact saris that we can supply. You can select the basic type and color of the sari and we will supply you with a beautiful sari according to your selection.